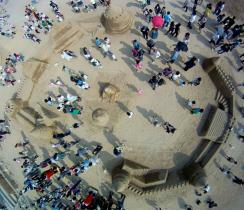 I took this photo from a camera suspended from a kite line, it was during the big sandcastle event in Haeundae. 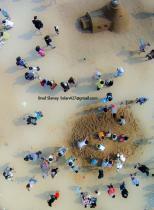 You can see a group of people working to create a structure in the middle. The Jeongdongjin Beach Hourglass – originally installed in 1999 and counting down enough sand (eight tons) to last a year. After arriving in Jeongdongjin one late Saturday night, Kiwi and I checked into a nearby pension to drop off our stuff, then meandered down to the beach. 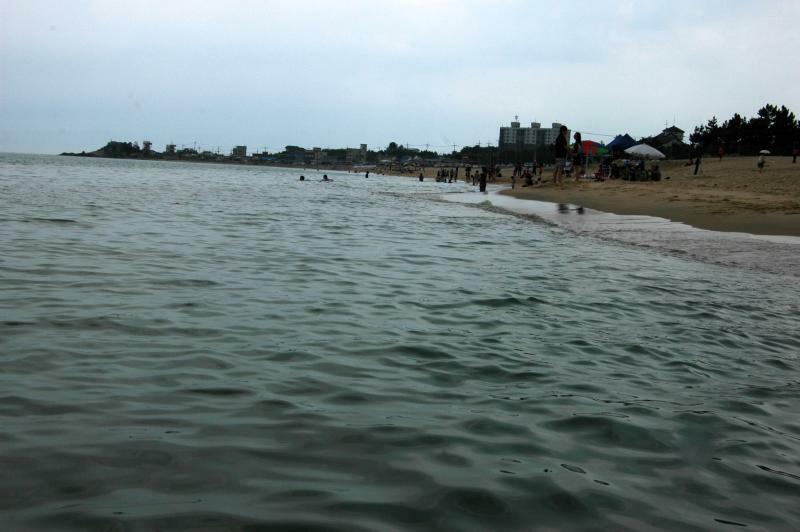 A cool May evening may not be the most ideal time to visit a beach, but it was almost deserted on the sand. The nearby seafood and chicken restaurants had some life, as did the small park above. 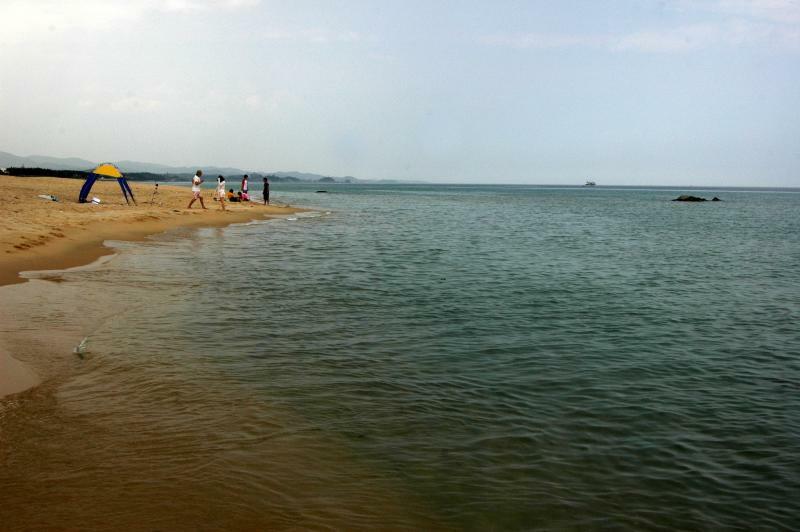 To put it mildly, Wonpyeong Beach (원평해수욕장) is off the beaten path. Bigeum-do is 54.5 kilometers (about 34 miles) from the mainland of Dae Han Min Guk. 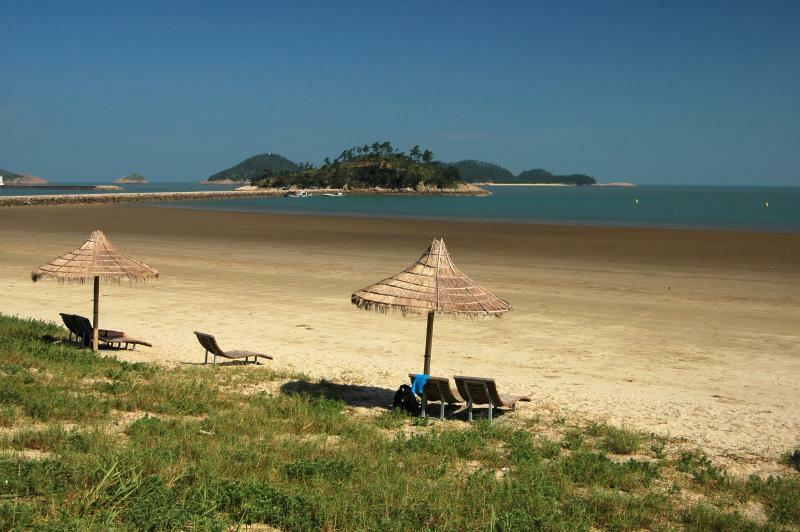 Of the 827 islands that dot the shores of Shinan county in Jeollanam-do, Bigeum-do is the seventh-largest. It hearkens back to a time before foreigners taught English in Korea and the locals viewed foreign tourists as curiosities. If you've ever needed that 'far off island getaway' during your stay in Korea - but had to be back to work on Monday - this may be the place. 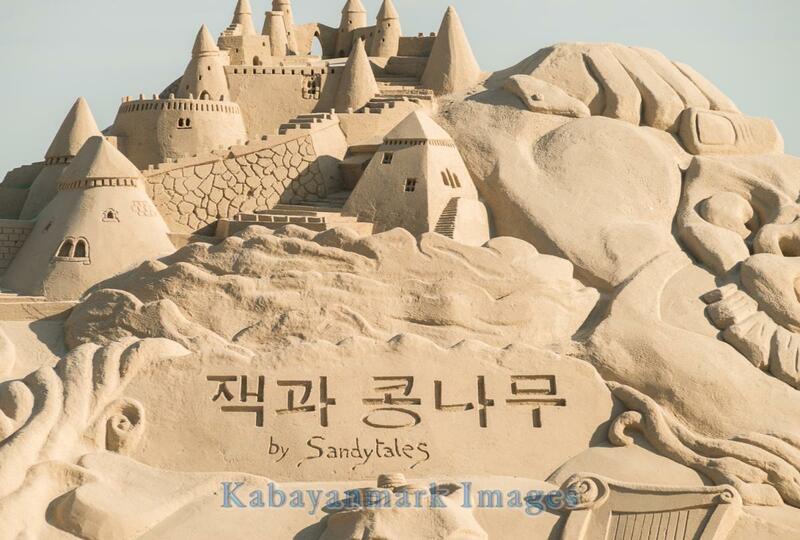 Not far from the northern border, Jumunjin Beach could be considered one of many beaches along Korea's east coast. As the peak season hasn't yet started I'll refrain from predicting its future popularity, but a Sunday afternoon in mid-June left more than enough beach for the Lady in Red and I.